기술의 발전과 시대적 변화에 따라 각종 스마트 기기가 보편화되면서 웹툰 장르는 새로운 문화콘텐츠의 강자로 떠오르고 있습니다. 각종 기업에서 웹툰을 마케팅의 수단으로 이용하거나 웹툰의 영화화. 드라마화 등 2차 저작물 사업이 성공하는 경우가 증가하면서 원천 콘텐츠로서의 웹툰의 가치는 앞으로도 꾸준히 높아질 전망입니다. AB Entertainment는 차세대 한류산업을 선도할 웹툰 콘텐츠 비즈니스를 목적으로 설립된 종합 웹툰 엔터테인먼트로 웹툰 작가 양성, 에이전트, 자체 웹툰 제작, 영화화. 드라마화 등 2차 저작물 라이선싱, 플랫폼 개발, 해외 수출 등을 주요 업무로 하고 있습니다. AB Entertainment는 15년간 만화 애니메이션 입시 교육 및 유학 사업에 주력하며 수많은 관련 전문가들을 배출해온 (주)애니벅스를 기반으로 하고 있어 웹툰 작가 육성 및 웹툰 사업 시스템 및 인프라에 대한 남다른 전문성을 확보하고 있습니다. AB Entertainment는 웹툰 아티스트를 꿈꾸고 웹툰 콘텐츠를 소비하는 모든 사람들에게 성장과 소통의 창으로서 성장할 것입니다. With the popularization of smart phones worldwide, the consumption environment for Webtoons has significantly improved and the overall value of Webtoons has cemented itself as a new source for successful business ventures. In addition to its rapid growth in the international market such as America, China, Japan, etc., the webtoon business is foreseen to lead the next generation of ‘The Korean Wave’ worldwide. AB Entertainment has a foundation of 15+ years in the cartoon / animation business and has developed countless talents over the year. 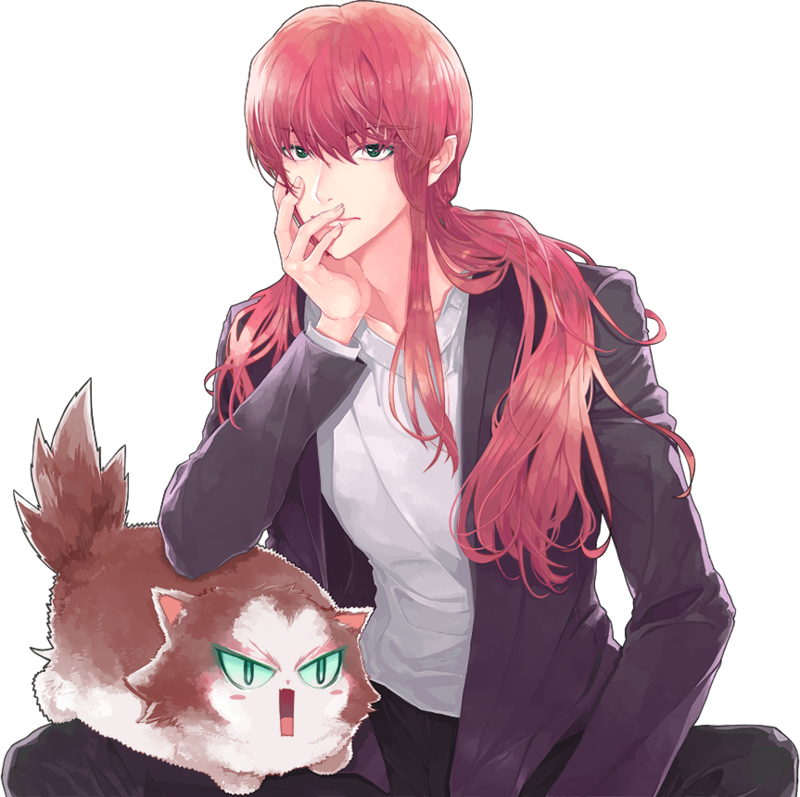 We also pride ourselves in establishing Wecomics on May 2015, a webtoon-focused academic institution that has branches in Gangnam, Konkuk University, and Bundang with over 200 students that are eligible to debut as artists on a professional level. 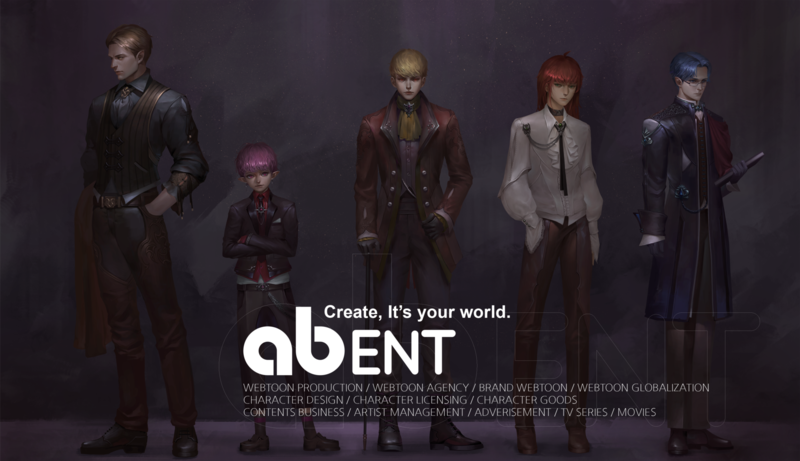 With this basis, AB Entertainment will continue its efforts in managing web toon artists and aim to develop its webtoon content-based businesses through webtoon production, movie/drama licensing, distribution, and export by entering the global market. 제가 배우로 활동하는 내내, 저는 영화의 산업적인 면을 추구하기 이전에 완전한 작품으로서의 면모를 먼저 갖추는 것이 적절하다고 느꼈습니다. 또한 대형화, 획일화 되어가는 시장에서 다양성을 갖추기 위해 웹툰과 같은 새로운 문화의 필요성도 느꼈습니다. 웹툰 산업은 점차 성장하고 있습니다. 영화와 드라마 산업뿐 아니라 엔터테인먼트 전반에 끼치는 영향력은 눈부신 발전이라고 할 수 있습니다. 배우로써 활동하고 있는 저는 그러한 발전을 매우 기쁘게 생각하고 있습니다. 웹툰 산업의 발전은 제게도 영향을 주었습니다. 영화 현장에서 영화가 상업적인 면만 강조되어 작품성이나 작가의 의도가 소외되는 모습을 접하면서 과연 영화의 본질이란 무엇인지 깊이 생각하는 계기를 마련해주었습니다. 그래서 저는 이런 점을 느끼는 것에만 그치지 않고, 웹툰 산업이라는 새로운 콘텐츠산업에 관심을 두고 투자를 함으로써, 문화 콘텐츠를 생산해내는 무명 및 신입 작가들에게 더 적절한 무대를 열어 줄 수 있다고 생각하고 움직이고자 합니다. 저는 대중과 긍정적인 호흡을 할 수 있고 작가의 독특한 창의성을 담은 웹툰의 예술성을 탐구하고자 합니다. 또한 문화, 복지 사각지대인 저예산 영화, 다큐멘터리, 연극에도 적절한 지원을 이어나갈 계획입니다. 앞으로도 배우 유지태와 더불어 (주)아벤트의 행보에 많은 관심과 사랑을 부탁드립니다. 감사합니다. 있거나, 말거나, 뜨거나, 말거나, 우리의 창작은 계속됩니다. As an actor, I always believed in the potential of what Webtoons could become, not only for the Korean movie industry but also for entertainment as a whole. This resonated deeply with me at a time when I wondered about the essence of movies, where I couldn’t ignore the looming industrial façade that downplayed the cinematic value and art in the business of movie production.I strongly believe and stand by the notion that movies should place more value in its role as a piece of art before its commercial aspects. Therefore, the advent of the Webtoon industry plays a critical role in providing a new source of story-telling that paves more opportunities for movies to diversify in a technical, cultural, and artistic sense. Additionally, as an actor who mainly starred in commercial movies, I am certain my interests and investments in webtoons will make a way for this market to gain a bigger spotlight. I hope to explore the potential of webtoon entertainment that can exert positive influence to the mass while keeping true to its roots as a unique form of art. With AB Entertainment, I plan on reaching a global scale where our company will ultimately be the forerunner in bridging the gap for webtoon artists all over the world. 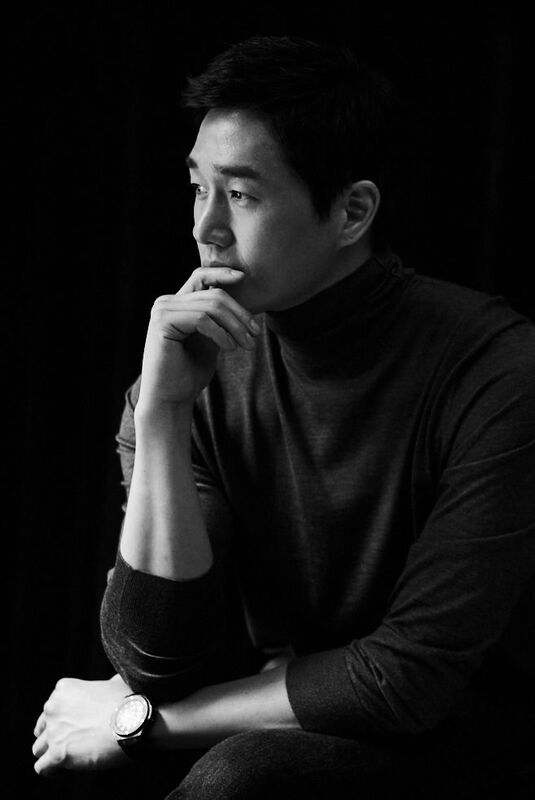 We humbly ask for your unconditional interest and love for the actor Yoo Ji-tae and AB Entertainment CO., Ltd.
With your support, we will give back to you all that we can, with quality and passion rivaled by no other. AB Entertainment의 F5 프로젝트 소개합니다. AB Entertainment introduces the F5 Project. AB Entertainment는 차세대 한류산업을 선도할 웹툰 콘텐츠 비즈니스를 목적으로 설립된 종합 웹툰 엔터테인먼트로 웹툰 작가 양성, 에이전트, 자체 웹툰 제작, 영화화, 드라마화 등 2차 저작물 라이선싱, 플랫폼 개발, 해외 수출 등을 주요 업무로 하고 있습니다. 제가 배우로 활동하는 내내, 저는 영화의 산업적인 면을 추구하기 이전에 완전한 작품으로서의 면모를 먼저 갖추는 것이 적절하다고 느꼈습니다. 또한 대형화, 획일화되어가는 시장에서 다양성을 갖추기 위해 웹툰과 같은 새로운 문화의 필요성도 느꼈습니다. 웹툰 산업은 점차 성장하고 있습니다. 영화와 드라마 산업뿐 아니라 엔터테인먼트 전반에 끼치는 영향력은 눈부신 발전이라고 할 수 있습니다. 배우로써 활동하고 있는 저는 그러한 발전을 매우 기쁘게 생각하고 있습니다. 웹툰 산업의 발전은 제게도 영향을 주었습니다. 영화 현장에서 영화가 상업적인 면만 강조되어 작품성이나 작가의 의도가 소외되는 모습을 접하면서 과연 영화의 본질이란 무엇인지 깊이 생각하는 계기를 마련해주었습니다. 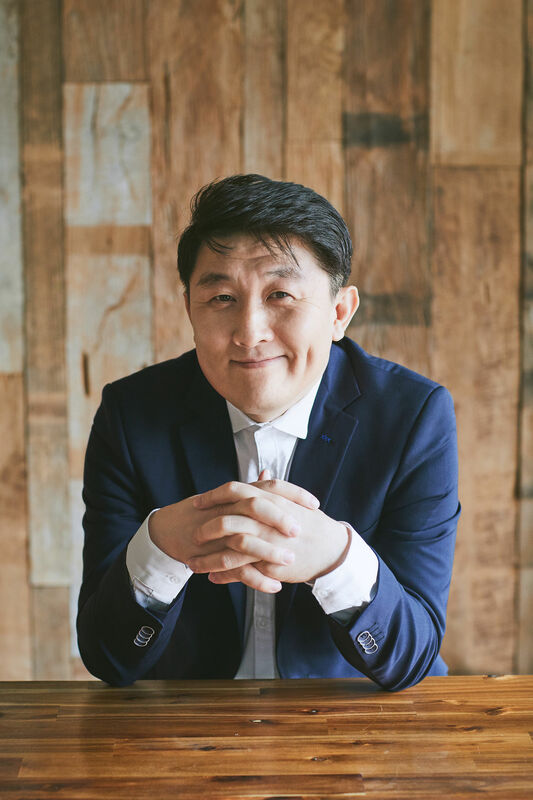 앞으로도 배우 유지태와 더불어 (주) AB Entertainment의 행보에 많은 관심과 사랑을 부탁드립니다. 감사합니다. As an actor, I always believed in the potential of what Webtoons could become, not only for the Korean movie industry but also for entertainment as a whole. This resonated deeply with me at a time when I wondered about the essence of movies, where I couldn’t ignore the looming industrial façade that downplayed the cinematic value and art in the business of movie production. I strongly believe and stand by the notion that movies should place more value in its role as a piece of art before its commercial aspects. Therefore, the advent of the Webtoon industry plays a critical role in providing a new source of story-telling that paves more opportunities for movies to diversify in a technical, cultural, and artistic sense. Additionally, as an actor who mainly starred in commercial movies, I am certain my interests and investments in webtoons will make a way for this market to gain a bigger spotlight. is employed from the planning stages to ensure success in mass media.